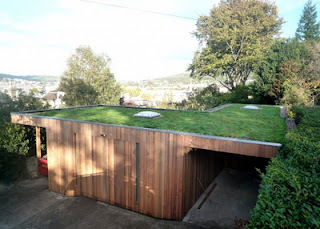 Shedworking, a daily updated blog, showcases fun, creative and even beautiful shed structures. The creator, Alex Johnson, describes the blog as a guide for anyone who works in shedlike atmospheres. Be warned these are not your ordinary sheds that can be bought at a big box store. It’s sad, but many of the sheds are nicer then my first apartment. This shed acts as a studio for a textile designer, and has an irrigation system for its green roof. A more appropriate word to call some of the sheds may be studios. Many of the featured structures did cost a bit to construct, however the owners all believe that the money that was spent would have gone to waste on rent for office space. 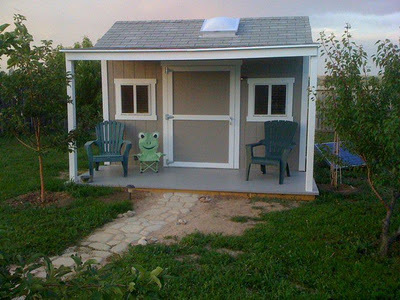 Sheds are a worthwhile investment, and do not have to be luxurious to add property value. Don’t let the outside fool you, it is a fully functioning solar powered office. Even the sheds that appear to be simple are not. The shed in the image above is located in Colorado, and is solar powered. The owners, Jay and Louise Norris believe, "A fully insulated, finished shed makes a great place to work."